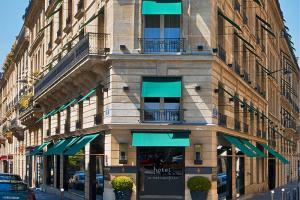 Located just steps away from the Eiffel tower, in the 16th arrondissement of Paris, Le Metropolitan, a Tribute Portfolio Hotel, Paris allows guest to discover boutique luxury. Boasting a modern décor, the elegant rooms and suites offer relaxation with luxury amenities. Take a dip in the indoor pool and steam room or treat yourself to massage at the luxury spa. Savor French Cuisine in the on-site signature restaurant and enjoy an evening cocktail at the bar.